On the Friday of Electric Love, we encourage everyone to dress up in their grooviest retro outfits to help celebrate the spirit of the Summer of Love, a social phenomenon that occurred during the summer of 1967. As many as 100,000 people (mostly young, artists, outsiders, activists , and dreamers) converged in San Francisco's neighborhood Haight-Ashbury. The 1960s Counterculture helped shape music, art, social consciousness and our evolve our views on sexuality. It changed our world. Are you ready to wear flowers in your hair? Dress in your hippy best and have a chance to win #ELFest2019 Passes. Entry forms are at the Electric Love Shack (Merch Booth) beside the Octopus's Garden. Contest Judging takes place at 7 pm at the Nest Stage. There will be other prizes and giveaways as well as a draw from the entry forms.
. The Beatles (Sgt. Pepper's Lonely Hearts Club Band and Magical Mystery Tour), Small Faces ("Itchycoo Park"), Eric Burdon & The Animals (Winds of Change), The Doors (The Doors and Strange Days), Jefferson Airplane (Surrealistic Pillow and After Bathing at Baxter's), Moby Grape (Moby Grape), Pink Floyd (The Piper at the Gates of Dawn), Love (Forever Changes), Cream (Disraeli Gears), The Byrds (Younger Than Yesterday), The Rolling Stones (Between the Buttons and Their Satanic Majesties Request), The Who (The Who Sell Out), The Velvet Underground (The Velvet Underground & Nico), Procol Harum (Procol Harum), The Monkees (Headquarters and Pisces, Aquarius, Capricorn & Jones Ltd.), and The Jimi Hendrix Experience (Are You Experienced? and Axis: Bold As Love). 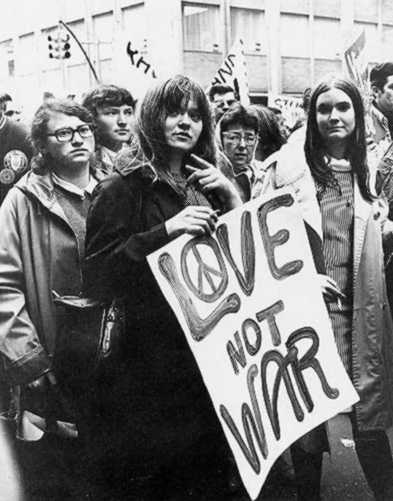 Hippies were the natural outgrowth of the Beat movement in the 1950s. Interested in an alternative lifestyle and rebelling against a society grown increasingly conformist and repressive, they were focused on freedom and getting back to nature.